If you ever walked into a rock shop when you were a kid and purchased those tumbled gemstones you can buy for a few dollars, chances are good one of your first acquisitions was a piece of tumbled rose quartz. Rose quartz is common and generally inexpensive, which is why you can find it everywhere. It is a beautiful gemstone with a rich history and meaning. Even with its relatively low value in comparison to precious gemstones, it makes a stunning addition to any gem or jewelry collection. Rose quartz is a type of quartz which is known, prized, and named for its rose color. Quartz is the second most abundant mineral found in the Earth’s crust, with a continuous crystal structure of SiO4. 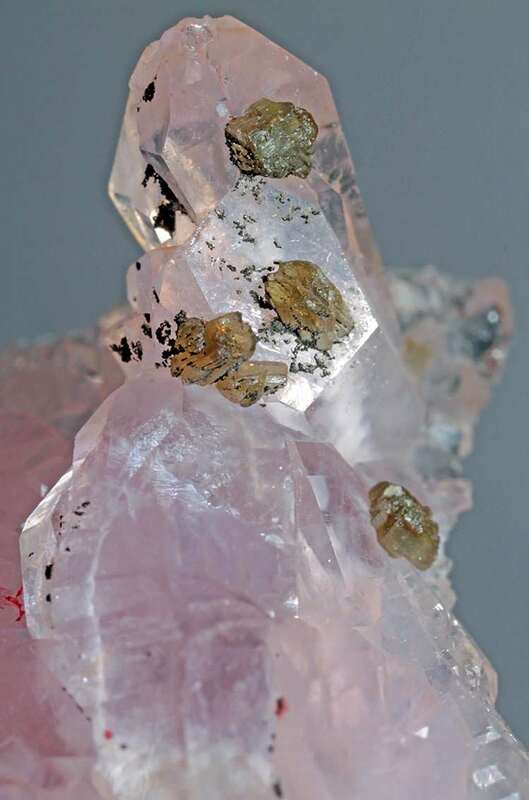 Numerous varieties of quartz exist, but few are as popular as rose quartz. Rose quartz exhibits the basic crystal structure mentioned above, but it also contains trace amounts of manganese, iron, or titanium. These trace elements may be what lend the stone its roseate hue, though scientists are still not 100% certain on this point. There is also a second “type” of rose quartz known as “crystalline rose quartz” or as “euhedral rose quartz,” a reference to its crystal structure. 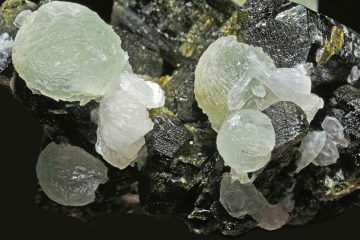 These crystals are relatively rare, and their color stems not from manganese, iron, or titanium, but from the presence of phosphorus and aluminum. The pink color is photosensitive. Exposure to the sun can cause it to fade. Occasionally you also may stumble across a piece of rose quartz which contains rutile needle inclusions. These inclusions produce asterism, a phenomenon of reflected light which is generally associated with star sapphires. As you might guess, these pieces have a greater value than most. Rose quartz is translucent to opaque, and the color may range from pale to deep pink (more on that shortly). On the Mohs scale of hardness, quartz rates a 7. This does not make it particularly fragile, but it is not as strong as sapphire or topaz (9 and 8 respectively). 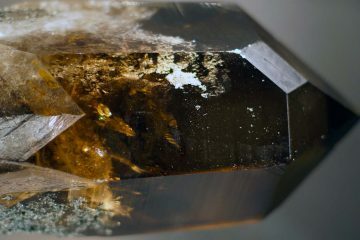 If you drop a piece of quartz, it is quite likely to fracture. Unless you have a piece with individual crystals, you will probably have a stone where the crystals have grown in an indistinguishable mass. 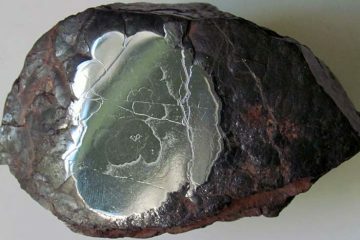 The texture is generally glossy to the touch and glassy in appearance. The texture and the recognizable rose hue make it quite easy to identify rose quartz when you find it. This is why it probably was not only one of the first gemstones you remember collecting as a child, but one of the first you could likely identify on sight as well. The color of rose quartz can range from a pale, ephemeral pink barely distinguishable from white to a deep, saturated pink. Rose quartz is never particularly dark in color, though you may find some pieces with a muted, medium hue. The pink color may be warm or cool in appearance. This actually makes it a great gemstone to match any skin tone, which is one of the reasons it is an excellent choice for jewelry. As with most colorful gemstones, the deeper and richer the hue, the greater the worth of the stone when it comes to measuring market value. You will generally pay a higher price tag for a darker pink than you will for a paler pink. All shades of rose quartz are quite affordable, though, so it is best to make a purchase decision based on personal taste. Some people prefer the paler more ethereal hues. Natural quartz is rarely used in industry; synthetic quartz is preferred since it is not twinned in structure. As you might guess, rose quartz has no practical uses in the industrial world; instead, it belongs firmly in the world of ornamentation and art. For thousands of years, rose quartz has been used in jewelry and art. In fact, rose quartz beads have been unearthed in Iraq which date back to 7,000 BC! Assyrian rose quartz jewelry has been discovered dating back to 800-600 BC. Other ancient civilizations recorded the importance of rose quartz as well. Many of these ancient civilizations believed that rose quartz had protective powers, and wore rose quartz as talismans to confer health and spiritual well-being. Today, rose quartz is still used to create beautiful artwork and jewelry. Rose quartz statues, figurines, and even dishware are still created today. 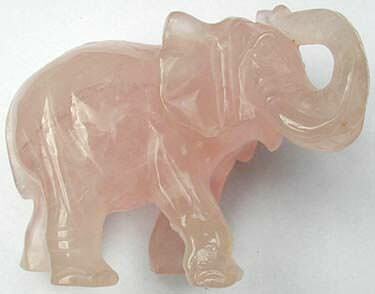 The soft translucency and glassy texture of rose quartz makes it ideally suited to carving. Rose quartz is also tumbled and faceted for use in pendants, necklaces, earrings, bracelets, and more. Many gemstone collectors still prize rose quartz as a symbol of love. If you are planning on buying fine rose quartz jewelry or a rose quartz sculpture, you need to know how much you will be spending. Just how much (or rather, little) does rose quartz cost? A telephone survey of four companies in 1992 revealed that rose quartz was worth around $1,000-$1,200 per ton at that time. As rose quartz remains an ample and widespread mineral, this estimate is probably still roughly accurate today. Think for a moment about what that means. A ton of rose quartz goes for less money than you might pay for a single small diamond ring! Now, that is just a gauge of raw value. The companies that were surveyed also all stated the same thing, which is that the cost of rose quartz ultimately reflects what is crafted from the stone, and not just the natural qualities of the stone. So when you are shopping for rose quartz, you want to pay close attention to the quality of the craftsmanship of the item you are purchasing, and not just the color of the piece. Rose quartz has some value as it is found in nature, but most of its value is imbued in it later by the sculptor who works on it. Thinking in terms of tons really won’t help you all that much while you are shopping. So here is another reference point to help you out. 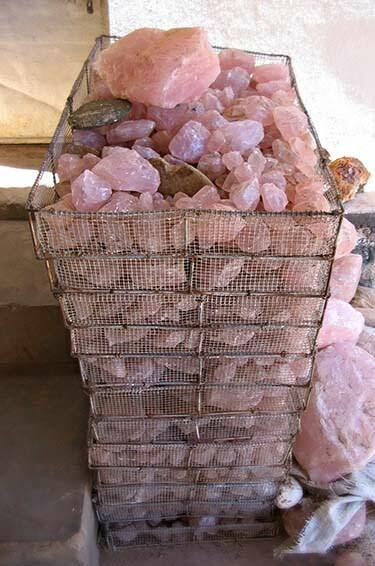 If you are in a rock shop purchasing a bag of tumbled rose quartz pieces, you can expect them to run $10-$12 per pound. If however you are shopping for say a pair of bookends which have been tumbled and polished and possibly carved, they could run you $40 or more. What about cut rose quartz? You can expect to pay anywhere from $100-$1,500 for a rose quartz ring with a single cut piece. The cost will depend as much on the band and other gemstones present as on any factor of the gem itself. Color: All things being equal, you will generally pay more for a darker, richer pink than you will for a lighter, paler pink. This is incredibly subjective, however, and may not be a great basis for a purchase decision. However, it may guide you in evaluating prices of pieces you are considering. Use your recipient’s subjective preference to select a rose quartz piece which will satisfy her tastes, but look for a fair price for whatever you do consider buying. Cut: Rose quartz is more commonly sold tumbled and polished or carved than cut, but cut and faceted pieces are popular as well. It can be hard to bring out clarity and sparkle in rose quartz, but the right cut can go a long way. Clarity: Rose quartz is typically translucent, which is why it is arguably not the best gem for faceting. It is hard to find really glassy, clear-looking specimens. For cut pieces, clarity may be a significant factor impacting price. For tumbled and polished pieces or carved pieces, it is going to be a less important factor, and may not even be taken under consideration at all in some cases. Carat: While this is worth a mention, in general it is far less significant when evaluating the value of rose quartz than it would be when evaluating the value of another gemstone like diamond. Rose quartz is common, and considering that you can buy a ton of raw material for less than you would pay for a tiny diamond, you can see how weight really is not an important factor compared to some of the others listed here. Asterism: This can easily quadruple the cost of a piece of rose quartz in relation to a comparable piece which does not exhibit the star-effect. While you will find rose quartz everywhere, you will rarely encounter pieces that exhibit this optical effect. Artistry: This may actually be the primary factor impacting the value of a rose quartz piece. A piece which has been beautifully and ornately carved with a design, or which has been cut to look like an animal or another object, may be worth substantially more than an uncarved piece. Since artistry is very subjective to gauge, and artisans may set prices quite widely, you will find a huge price bracket for carved rose quartz jewelry, sculptures, and figurines. Rose quartz is perfect for jewelry! It is easy to engrave, has a beautiful color, and is very affordable. That means no matter what price range you are shopping in, you should be able to afford rose quartz. This by no means cheapens it however, since its loveliness transcends any price. Cut. Finding very clear pieces of rose quartz is difficult, but they are out there, and with the right cut (like an emerald cut), that clarity can be emphasized. Tumbled and polished. Tumbled and polished rose quartz beads and center-stones are the most popular form for rose quartz to take for jewelry. The cloudy patterns in rose quartz are actually quite beautiful to behold, and tumbling and polishing is the best way to put them on display and bring out their best qualities. Rough. Rough-cut rose quartz is also sometimes used in jewelry. The glossy texture makes rose quartz pretty even in this form. Carved. Rose quartz may also be carved for use in jewelry. Beads carved to look like miniature roses or other types of flowers are very common for example, as are pieces which are cut into the shape of polished hearts. Rose quartz pendants may be carved into any shape imaginable. Elephants are popular, as are angels. Is rose quartz used for engagement rings? Yes, but rarely. The reason probably comes back to value. Even though rose quartz is a beautiful stone, most people want to give something with a higher price tag as a symbol of their engagement. Still, there are rose quartz engagement rings out there, and some of them are quite spectacular. For those who are focused primarily on aesthetics and not on a high price tag, rose quartz may be a great choice. Rose quartz has an absolutely gorgeous color. Pink is a color often associated with weddings as well. It is delicate, romantic, and optimistic. Rose quartz is very affordable. If you do happen to be on a tight budget for an engagement ring and your recipient loves rose quartz, then it may be a perfect buy. Rose quartz’s low cost may be seen as a drawback if you are shopping for a recipient who will see it as a “cheap” alternative to a more expensive gemstone. Rose quartz is typically cloudy, even at its most clear, and does not offer any sort of sparkle. For this reason its effect may be rather “dull” compared to the dazzling glamour of a diamond. A lot of people looking at a rose quartz wedding band may not realize that it is a wedding ring at all. Your partner may tire of people asking her where her wedding band is. Because rose quartz is not particularly hard, it can easily fracture. This may not make it the optimal choice for everyday wear. Your recipient will need to be very careful wearing it not to damage it in any way. If you decide to buy a rose quartz engagement ring, check with your partner first to make sure she will be happy with it. You may also consider shopping for a rose quartz ring with a fine gold or sterling silver band set with small diamonds. This makes the ring a little more traditional and boosts its financial value. You could also shop for something handmade with an emphasis on unique craftsmanship. Cleaning rose quartz is a task that should be undertaken with care. Because rose quartz is somewhat fragile, you should never use ultrasonic or steam cleaners. Instead, you should wash rose quartz carefully by hand using warm, soapy water. A mild dish detergent is the best option. Storing rose quartz likewise should involve extra care. It takes very little for quartz to break. So store your rose quartz inside a softly-lined jewelry box, separate from other items. If you need to, you can place it within a small, soft pouch to protect it. Never leave it laying around on a hard surface or let it get buried beneath other jewelry. Be extra cautious traveling with rose quartz, and never wear it when you are working with your hands. You do not need to store it in a cool, dark place however, as rose quartz is quite stable and light and heat should have no effect on its appearance. Romans, Egyptians, and Greeks in ancient times believed that rose quartz had magical powers. Rose quartz was worn as talismans and believed to confer protection. 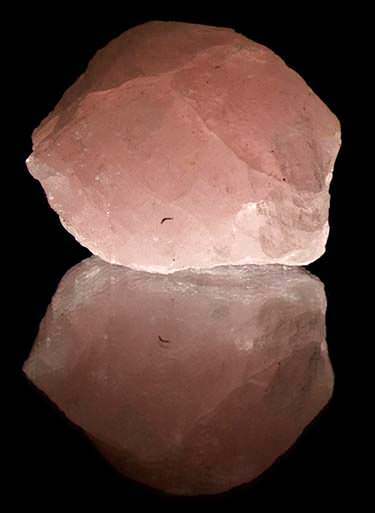 Egyptians thought rose quartz could prevent aging. It was also believed to ease spiritual transitions between one world and another. Egyptians put rose quartz bracelets around the arms of newborn children, because they believed that doing so would make it easier for the child’s soul to move into the physical world. Romans used it to create seals to symbolize ownership. In the Americas, indigenous people wore rose quartz to balance their negative emotions and heal their hearts of anger. 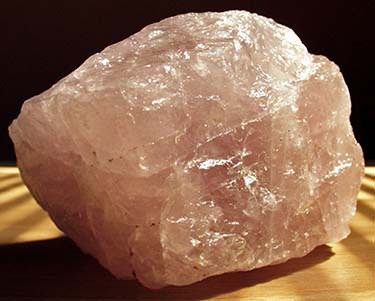 During the Middle Ages, rose quartz remained popular. Traditional medical practitioners in those times used quartz in their potions. Historically, rose quartz has also been referred to as hyaline quartz, which comes from the Greek word hyalos, which translates to “glass.” It has also been known as Bohemian Ruby and Silesian Ruby. For a long time, it was also interchangeably called “pink quartz,” but nowadays that moniker is said aside to denote the rare crystalline form. Scientists studying the variety of quartz which forms distinct crystals have determined it is chemically different from rose quartz. Rose quartz is not one of the primary birthstones for any month, but it is considered an alternate birthstone for the month of January (January’s principle birthstone is garnet). Occasionally it may also stand in as an alternate birthstone for the month of October (usually opal). For those who do not like January or October’s original birthstones, rose quartz can make a better birthstone-themed gift. Rose quartz is also associated with the astrological sign Taurus (April 20-May 20). Because of its color, rose quartz is associated with the heart and is known as the Heart Stone in many cultures. It stands for friendship, love and beauty. Many people wear rose quartz when they are searching for love, believing that the talisman will help to attract it. A stunning radiant/emerald cut rose quartz gemstone. Pink quartz: Pink quartz looks almost exactly like rose quartz, except that it tends to form distinct crystals instead of a mass. Originally it was believed to be just another form of rose quartz, but scientists now agree that it is a different stone. The color of pink quartz comes from a different source, and pink quartz is not as stable (light can alter its appearance). Pink quartz and rose quartz have entirely different structures, and they form in different environments. Do not be surprised if you see them labeled interchangeably and incorrectly, even in shops in museums. Milky quartz: This is the white cloudy variety of quartz. It is extremely common, and you may even have found it in nature before without looking very hard. Extremely pale rose quartz can look almost identical to milky quartz, so they can be hard to distinguish. They also both tend to form as masses with translucent, glassy textures. This just adds to their similarity. Pink tourmaline: Tourmaline is a crystalline boron silicate mineral which comes in a number of different colors, including pink. Like rose quartz, pink tourmaline comes in both light and dark hues, and has a glassy appearance. 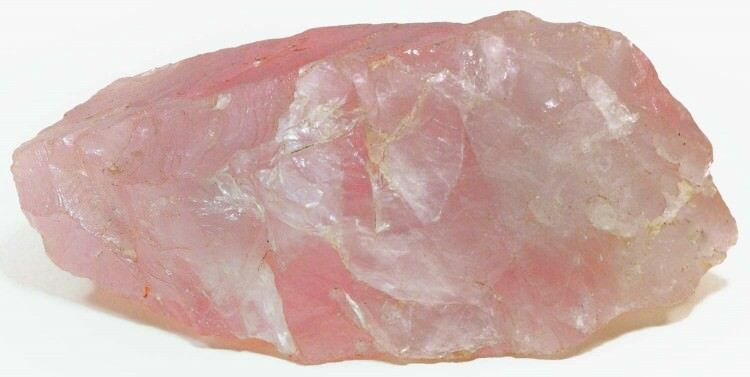 It is however much clearer than rose quartz, and can be a much deeper, richer pink. It may be more suitable for cut gemstones because of its heightened clarity. If you are thinking of rose quartz for an engagement ring but want something with more clarity and sparkle, pink tourmaline may be a perfect alternative. Pink sapphire: This is another smart alternative to rose quartz for an engagement ring. Pink sapphire, like rose quartz or tourmaline, may be pale or deep in color. Typically it is a warmer shade of pink. 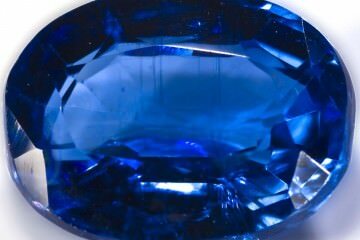 Sapphire is a precious gemstone, so its value is high, and it is also strong and durable compared to rose quartz. It has that sparkle and shine you are looking for, so it makes for an excellent choice! Morganite: Morganite is a gemstone in the beryl family which has a beautiful pink hue that is almost rose-gold in color. Its warmth and clarity make it an incredible choice for jewelry, but its rarity makes it expensive. For that reason, it may not be the best alternative to rose quartz, but it is certainly one to consider if you are able to obtain a piece.